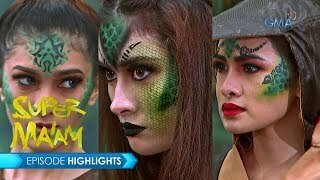 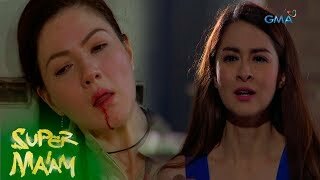 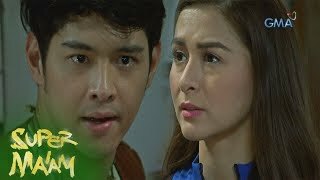 Aired (October 11, 2017): Umubra kaya ang mga pasabog ni Avenir upang matalo niya ang bagong Tagachu na si Super Ma'am? 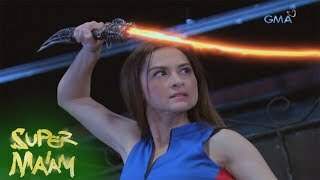 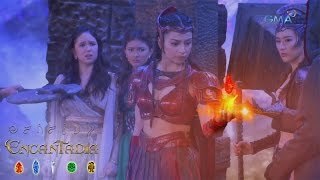 Watch episodes of 'Super Ma'am' weeknights on GMA Telebabad, starring Kapuso Primetime Queen Marian Rivera as Minerva Henerala/Super Ma'am. 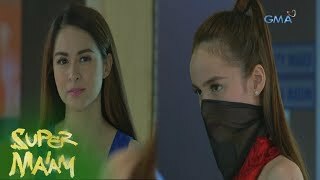 Also in the cast are Matthias Rhoads, Kim Domingo, Jerald Napoles, Helen Gamboa, Kristoffer Martin, Joyce Ching, Ash Ortega, Enrico Cuenca, Meg Imperial, Al Tantay, Jillian Ward, Ralph Noriega, Julius Miguel, Marika Sasaki, Kevin Santos, and Jackie Lou Blanco.